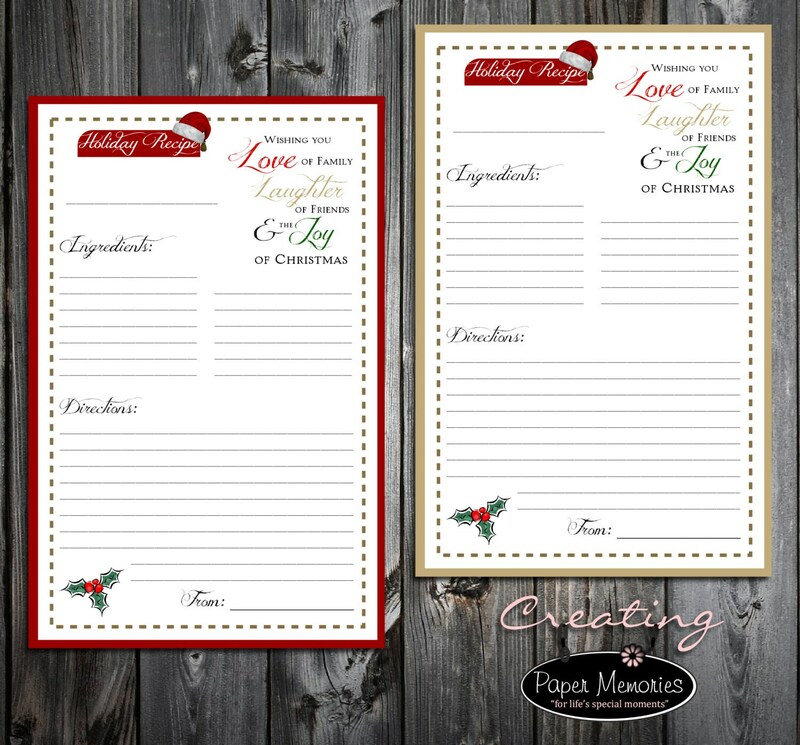 INSTANT DOWNLOAD Holiday Christmas Printable Recipe Cards. PDF File. These printable recipe cards are great for writing down recipes to give to friends and family this holiday season or to keep your own holiday recipes organized. Each recipe card measures: 5 1/2" wide x 8 1/2" tall - plenty of room to write down your favorite recipe. Easy Printing: Print on an 8 1/2" x 11" sheet of paper or cardstock. Cut each sheet in half at 5 1/2". - This printable file is for personal use only.